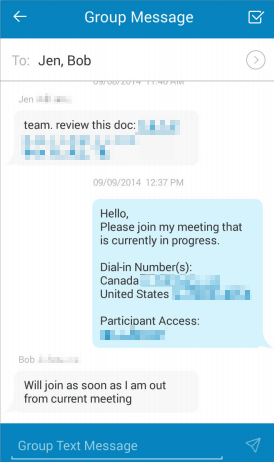 You are here: Home / FAQ / Can VoIP Be Used for Texting? Having a virtual phone system is already a huge step in a business’ life. However, despite all of the advantages, most VoIP services are still incapable of handling one major feature: texting. And there is nothing more annoying than being forced to carry two mobile devices if you want to keep personal and business related SMS messages separated. 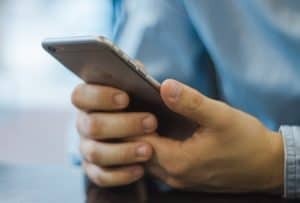 Thankfully, some VoIP providers offer customers the option to send business related SMS messages using their VoIP system from their own mobile devices. How Does Business Texting Work? In order to use the business texting feature you need a live virtual phone system subscription and its application installed on your phone. The latter is the most important part, because whenever you access your VoIP provider’s app, all SMS messages sent therefrom will be treated like if you had sent them from your business number. This way you can conduct personal and business related messaging from the same device without the need to use a dual SIM mobile phone or a separate app (like Skype, WhatsApp or Facebook Messenger) with a new account. Another important aspect is that, unlike regular SMS messages (or Twitter for that matter), which limit the number of characters you can send to 150–200, business texts can be much longer: up to 1,000 characters. You can also receive push notifications and/or emails whenever you receive a business SMS, you can start group conversations and join these without access code, and easily initiate calls/open URLs by clicking/tapping thereon. Furthermore, there is one more thing you won’t be capable of with regular SMS messaging: business texts are completely independent of devices. This means that you can send/receive texts from not just your phone, but from a tablet or even a computer. Despite being an extremely useful feature, business texting is unfortunately not always part of your virtual phone system subscription. A very rare exception is RingCentral, which offers business texting for free as it is included in all pricing plans. A more wide-spread method is to include this feature as an extra: Grasshopper offers unlimited business texting for $10 per month per number; eVoice gives you 150 messages for $4.95 per month, or unlimited messages for $9.95 per month; and Phone.com has this feature for $9.99 per month.